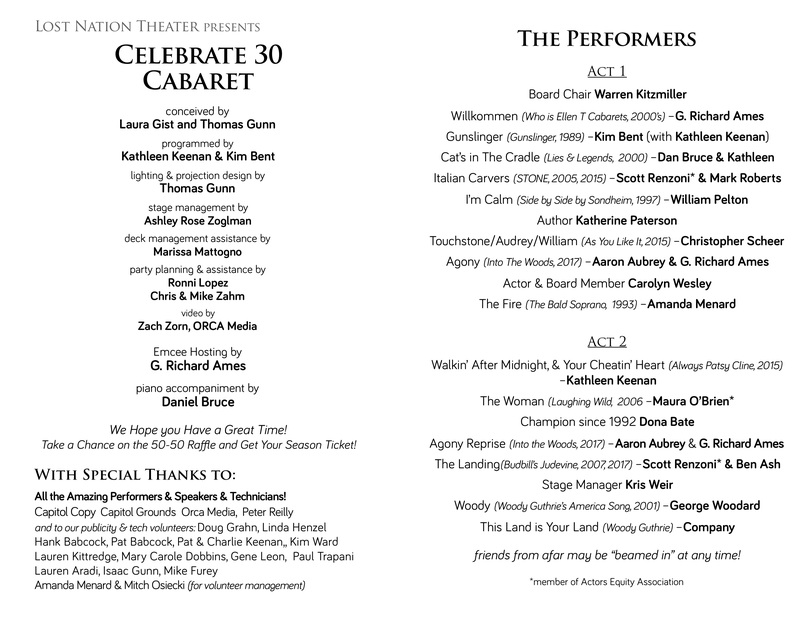 What Fun our CELEBRATE 30 CABARET was! Even with all our experience over these 30 years, we were unprepared for how wonderful, entertaining, moving, and spectacularly special this night would be. We are so grateful for, and humbled to have, the support of all the artists tonight who are donating their time and talent to celebrate LNT as well as some of their favorite shows, scenes and songs! ? 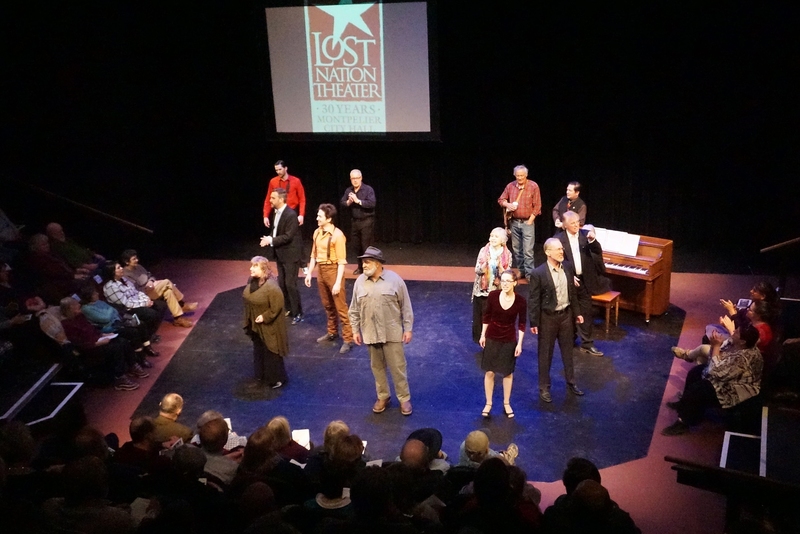 And for those new to LNT - it was like a crash course in our history at City Hall Auditorium. 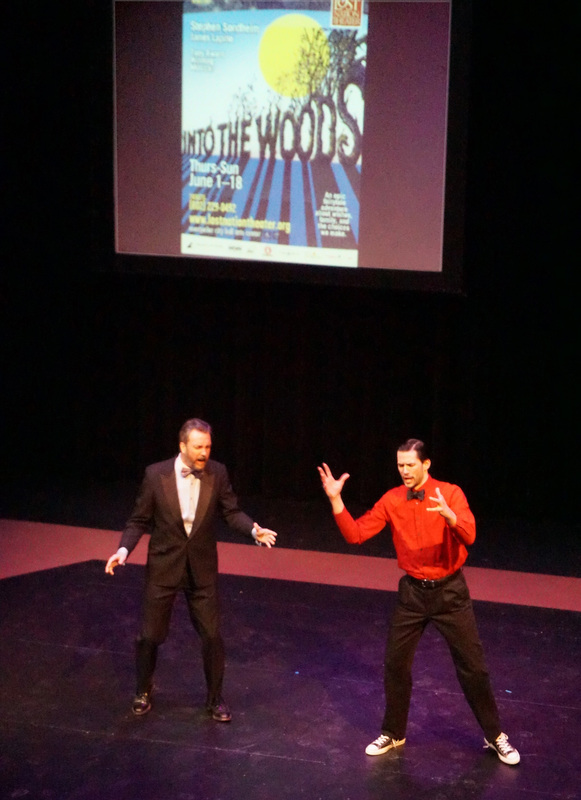 The evening featured songs & scenes alternating with live speakers (actors, board members, playwrights and stage managers). A theme of excellence, family, and doing more than anyone thought possible definitely emerged! Ya know it was something gloriously special when folks hung around in the lobby for over an hour after the show was over! 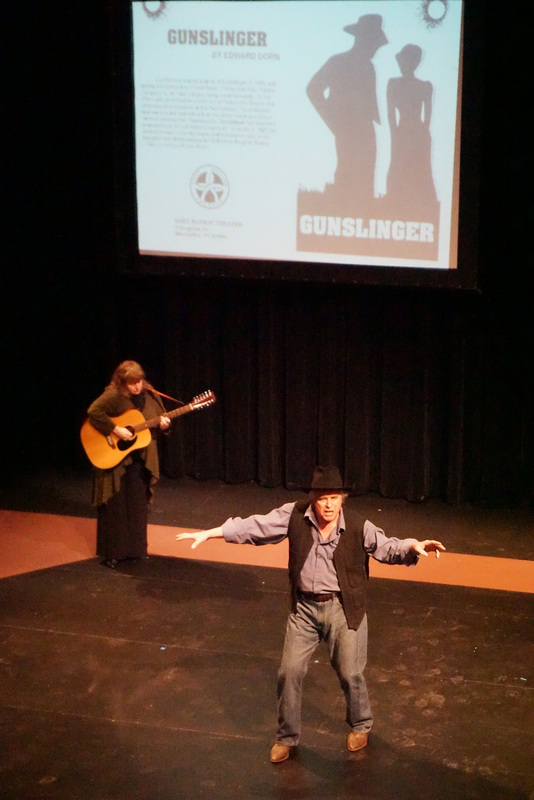 Our EmCee G. Richard Ames handled all the curve balls the rowdy and thoroughly engaged audience threw at him - his ad libs were quick quips of good humor at its best. With his14 years with the company, he also served as an effective "connector" - breaking out in Japanese song after Katherine Paterson spoke (he was part of our 2006 production of her play/musical Tale of the Mandarin Ducks in 2006) and lines from "The Crucible" after Meredith Watson's video testimonial. (Meredith was Tibitua in 2013's Crucible). And Daniel Bruce ably accompanied from shows from one to 26 seasons ago! "Beamed in" were director/shakespearean actor Gus Kaikkonen, actors Kate Kenney, Eric Love, Meredith Watson, Ashley Nease, designer Ellen Jones, and former students Mike Bresette, Seth Chalmer, & Liz Gilbert. LNT is also so lucky to have the support of its amazing volunteers and the businesses sponsoring this great event. With your help, we can continue our mission of providing quality professional performance, education & community programs year-round for another 30 seasons – and beyond! And enjoy some of these video testimonials! Mike Bresette & Liz Gilbert (now both working in NYC) who were students and performed on LNT's mainstage starting in 2004 (for Mike- "Fleance " in Macbeth) and 2008 for Liz (Scout in To Kill A Mockingbird). They played brother and sister numerous times (including Miracle Worker and Mockingbird), and it's so heartwarming to see that they still are like brother & sister!